We provide diverse range of Resilient Spring Grid Coupling which finds vertical and horizontal splits applications in Agitator, Blower, Conveyor, Pumps.Resilient Grid Spring Couplings basically comprises a hardened grid spring which finds vertical and horizontal splits applications in Agitator, Blower, Conveyor, Pumps, Mixers, Crane and Hoist. 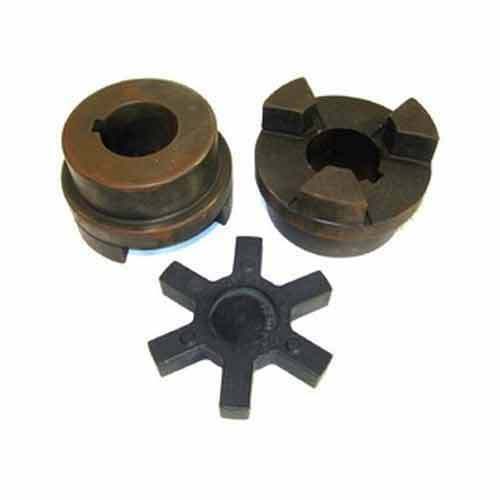 Established in the year 2004, in this respective domain, we have gained a distinctive reputation in Trading and supplying a comprehensive range of Industrial Pump Accessories in Madhya Pradesh. The range offered by us includes Vee Belt, Hoses, Transmission Belting, Large Dia Hoses (Mandrel Type), Grinding Wheels, Emery Cloth Sheet, Emery Tape Roll, Vee Belt( Abcde), Vee Belt (Fhp), Vee Belt (Spa,B,C,Z), Fenner Couplings Fenner Time Belts, Neoprene Rubber Sheet, Chequred Rubber Sheets, Insertion, Large Dia Rubber Hose Pipe, Bearing All Type, Alligator Clips, Lovejoy Couplings, Ginning Spare Parts, M.S. & S.S. Welding Electrodes, Welding Electrodes (Special Grade). Our products are highly appreciated for their durability, tough construction, excellent efficiency, easy operation, consistent performance and ergonomic design. These products are available in different shapes and sizes and can be customized as per the specific demands of our valued clients. We offer our products at affordable prices, meeting budgetary constraints of the clients.